Here are some of the numbers that helped define the Packers 17-14 loss to the Minnesota Vikings on September 18. This is the first season in the history of the Packers that they played their first two games of the season on the road. They went 1-1. Of the 53 teams that played their first two games of a season (since 2000) on the road, only seven went 2-0. The last team to go 2-0 starting on the road was the Miami Dolphins in 2013. 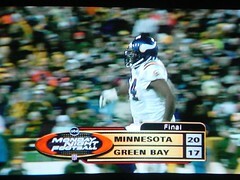 The Vikings have defeated the Packers 12 times since 2000. Yesterday’s loss was the second in September. Three of those losses came in October, four in November, one in December, and two in January. Green Bay scored a touchdown in the first quarter (an Aaron Rodgers to Jordy Nelson pass). The team is now 52-19-1 (.729 winning percentage) since 2010 when they score in the first quarter, but they have won only three of their last eight when they score in the first quarter. Jordy has scored two TDs this season, one on a six-yard pass and the other on a one-yard. While you would assume that Jordy is the Pack’s big long ball threat, 17 of his 52 career TDs have been on pass plays under 10 yards. The Packers had a 7-0 lead at the end of the first quarter. They had won seven straight when they had a lead of seven points or more at the end of the first quarter. Green Bay was behind 10-7 at halftime. They are now 8-16-1 in games since 2012 when they are trailing at halftime, and have won only four of their last 15 games on the road when they trail at half. Dom Capers “D” had four sacks in the game, which is normally a good sign. The Pack is now 18-6-1 since 2010 when they get four or more sacks in a contest. Vikings receiver Stefon Diggs continued an unfortunate pattern for the Packers secondary. Diggs had nine catches for 182 yards in the game. 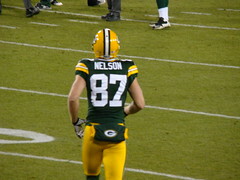 It was the sixth straight season that the Packers allowed an opposing receiver to gain 150 or more yards in a game. He is the 17th receiver since 2000 to have 150 or more yards receiving versus the Packers; the Pack is 8-9 in those games. Green Bay entered the fourth quarter with a 10-point deficit (they were behind 17-7). Since 2000, Green Bay is now 2-40-1 when they trail by 10 or more points going into the final quarter. They have now lost eight straight in that scenario. Aaron Rodgers was sacked five times. Since 2000, the Packers are 4-19 when they allow the QB to be sacked five or more times, and have lost 10 of their last 11. The team is 6-8 since 2014 in games when the QB is sacked three or more times in a game. Rodgers had a rushing TD in back-to-back games for the third time in his career. The 10-yard TD run against the Vikes gives him eight TD runs of 10 yards or more (of the 23 rushing TDs he has scored). The Pack had three turnovers in the game. Since 2000, they are now 13-41 (.241 winning percentage) in games when they commit three or more turnovers. They are 3-10 in those games since 2008. Rodgers’ Quarterback Rating (QBR) was 70.1 for the game. When his QBR is under 75, the Packers are 3-11 in games he has started. Green Bay scored only 14 points in the game. 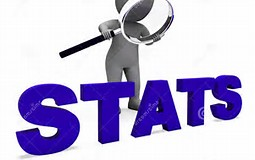 They are now 5-36 since 2000 in games when they score under 15 points, and are 1-26 since 2000 when they score under 15 points in a game on the road. Holding their opponent under 20 points had been a good sign for the Pack. 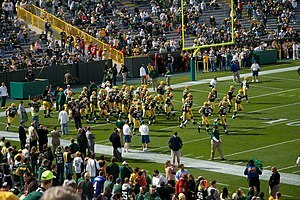 Since the 2011 season, the Packers are 25-6 when they keep their opponents under 20 points in a game. They had won 10 of their last 12 games when the opposition scored under 20 in a contest. 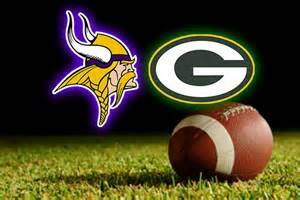 The Green Bay Packers and Minnesota Vikings on Sunday will play for the 107th time. The Packers lead the series 56-49-1. Here’s a quick six-question trivia quiz for Packers fans to see how well you know the series against the neighbors to the west. Answers appear at the end of the column. 1. Lynn Dickey is the fourth QB who had 20-plus TD passes against the Vikings. He had 21 in his career. 2. John Brockington had four games with 100 or more yards rushing for the Packers in games versus the Vikes, tops in that category. 3. The three Packers receivers who totaled 1,000 or more receiving yards in games against the Vikings were Donald Driver (1,296), Boyd Dowler (1,258) and James Lofton (1,184). 4. Current Minnesota Viking Greg Jennings had 10 TDs as a member of the Packers when they played the Vikings. 5. The three players with 10 or more sacks in Green Bay-Minnesota games were Kabeer Gbaja-Biamilla (11.5), Aaron Kampman (10.5) and Reggie White (10). 6. The last time the Vikings won both regular-season games against the Pack was in 2009. The quarterback was Brett Favre.